The report covers the analysis and forecast of the nanophotonics market on global as well as regional level. The study provides historic data of 2016 along with the forecast for the period between 2017 and 2025 based on total market revenue (TMR) (US$ Mn). 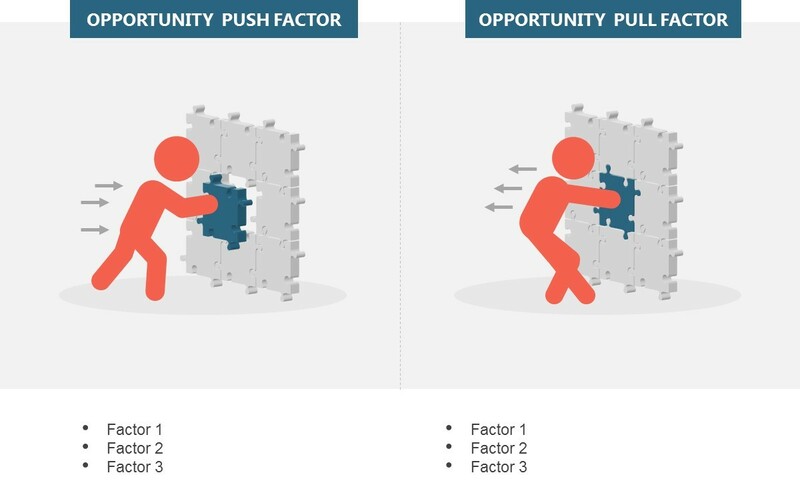 A comprehensive analysis of the market dynamics that is inclusive of market drivers, restraints, and opportunities is part of the report. Additionally, the report includes potential opportunities in the nanophotonics market at the global and regional levels. Market dynamics are the factors which impact the market growth, so their analysis helps understand the ongoing trends of the global market. Therefore, the report provides the forecast of the global market for the period from 2017 to 2025, along with offering an inclusive study of the nanophotonics market. 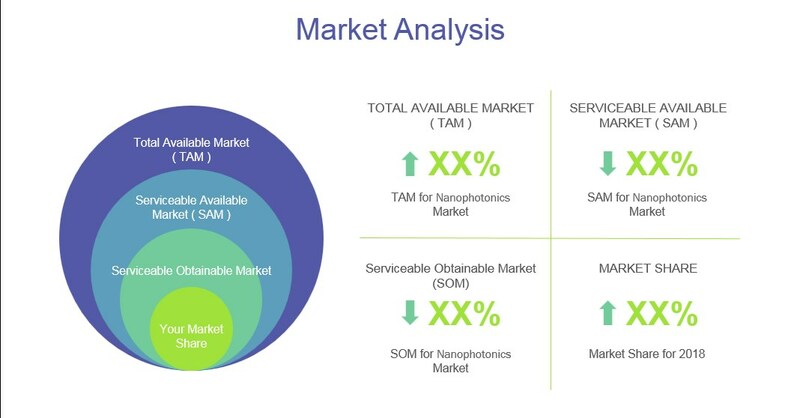 The study provides a detailed view of the nanophotonics market, by segmenting it based on by material, by application, by components, and regional demand. The growing need for reducing the size of semiconductor components is augmenting the demand for nanophotonic technology. Increasing FTTx connections coupled with growing demand for flexible and thin displays, creates a huge demand and high growth opportunity for the global nanophotonics market during the forecast period of 2017-2025. The competitive profiling of the key players in the global nanophotonics market across five broad geographic regions is included in the study. These include different business strategies adopted by the leading players and their recent developments. The report provides the size of the nanophotonics market in 2017 and the forecast for the next eight years up to 2025. The size of the global nanophotonics market is provided in terms of revenue. Market revenue is defined in US$ Mn. The market dynamics prevalent in North America, Europe, Asia Pacific, Middle East and Africa and Latin America has been taken into account in estimating the growth of the global market. Market estimates for this study have been based on revenue being derived through regional pricing trends. The nanophotonics market has been analyzed based on expected demand. 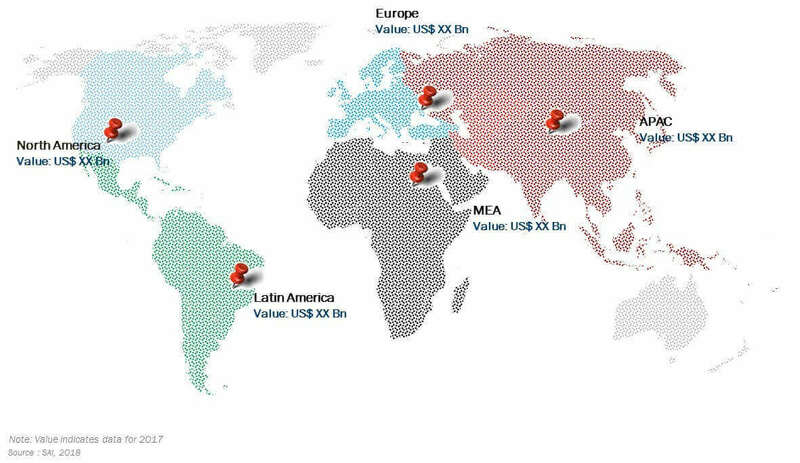 Bottom-up approach is done to estimate the global revenue of the nanophotonics market, split into regions. 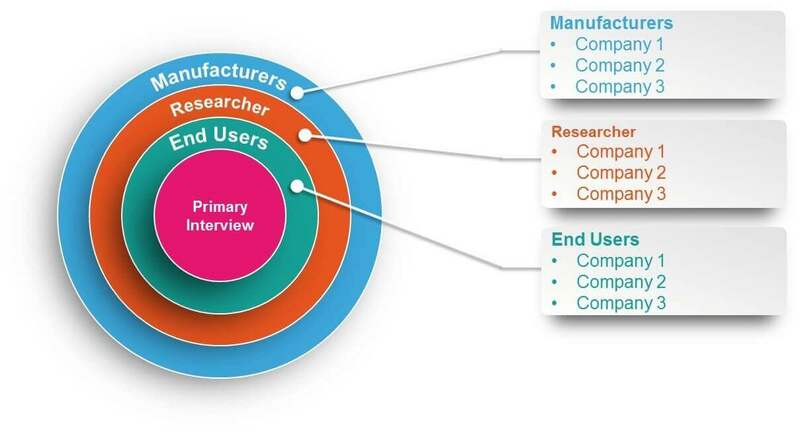 Based on material, component, and application the individual revenues from all the regions are summed up to achieve the global revenue for nanophotonics. Companies were considered for the market share analysis, based on their innovation and application and revenue generation. In the absence of specific data related to the sales of nanophotonics several privately held companies, calculated assumptions have been made in view of the company’s penetration and regional presence. The report covers a detailed competitive outlook that includes the market share and company profiles of key players operating in the global market. Key players profiled in the report include LG Display, Carbon Solutions, Cambrios Technologies, QD Vision, Cnano Technology, TCL Display Technology, Blue Nano, Bucky USA, Nanoco Technologies, Philips LumiLEDs Lighting, Samsung SDI, Universal Display, IBM Corp, OSRAM Opto Semiconductors, and few others. What is the global nanophotonics market size? What are market driving factors behind the global nanophotonics market? What are the market trends and forecast for global nanophotonics market? What are the global trends and forecasts based on market research and analysis of global nanophotonics market segmentation by component? What are the global trends and forecasts based on market research and analysis of global nanophotonics market segmentation by materials? What are the global trends and forecasts based on market research and analysis of global nanophotonics market segmentation by application? What are the global trends and forecasts based on market research and analysis of global nanophotonics market segmentation by geography? Which are the major global nanophotonics manufacturers? Which are the major global nanophotonics companies? The global nanophotonics market total market revenue (TMR) was valued at USD 14.3 billion in 2017 and is expected to reach at USD 196 billion by 2025 growing at a Compound annual growth rate (CAGR) of 38.9% from 2018 to 2025. Nanophotonics is the fusion of photonics and nanotechnology. Photonics is the science and technology of light generation, control, and handling. In physics, nanophotonics is defined as the nanoscale control of phonons, electrons, and photon interactions. Likewise, in engineering, nanophotonics is defined as the nanoscale integration of transmitters, emitters, signal processors, and others. Developments in quantum processing and information coupled with the growing demand for broadband-lightweight solar panels is anticipated to make the global nanophotonics market demanding in the near future. Major applications of nanophotonics mentioned in the report include indicators, material science, consumer electronics, non-visible wavelength instruments, and others. Moreover, based on materials the market has been divided as quantum dots, nanowires, photonic crystals, and nanotubes. In addition to this, the global nanophotonics market is further segmented by components that include optical fibers, optical switches, LEDs, PV cells, OLEDs, and holographic memory. The global nanophotonics market has been moreover segmented geographically into North America, Europe, Asia-Pacific, Middle East, and Africa and Latin America. Over the last 8-10 years, a tremendous increase in the diversity and number have been witnessed in the application of photonics. This has resulted in the considerable upgradation in computational design tools and their accessibility. Moreover, the development of new nanofabrication techniques and adoption of new optical methods is expected to make the nanophotonics market demanding in the coming years. Moving forward, improvement in electronic and electromagnetic device simulation tools have been enormous over the last few years. Advancements in nanofabrication techniques, better accessibility of high-resolution patterning, and pattern transfer processes have produced microdisk, photonic crystal, and ring resonator devices with excellent performance. Further down, improvement in structural characterization tools such as nano-Auger, atomic force microscopy (AFM), scanning electron microscopes (SEMs), nano-secondary ion mass spectrometry (nano-SIMS), and transmission electron microscopes (TEM) has helped in the progress of nanophotonics technology. In recent years, nanophotonics products such as nanophotonics LEDs, nanophotonics photovoltaic cells, and nanophotonics OLEDs are significantly driving the growth of the market. In addition to this, as the nanophotonics technology offers high thermal resistance and longer operational life, hence this technology has been gaining a lot of popularity from various organizations, which is anticipated to drive the market. Increasing FTTx connections coupled with the growing demand for flexible and thin displays further creates a huge demand and high growth opportunity for the global nanophotonics market during the forecast period. Among the other regions, the Asia-Pacific region holds the largest share of the global nanophotonics market followed by the U.S. and Europe. Rising economies like India and China and their huge consumer base, is augmenting the growth of the Asia-Pacific nanophotonics market. Moreover, in the North-America region, developed country like the U.S. and the massive investments made in the research and development field pertaining to nanotechnology, makes the nanophotonics market demanding in the North-America region. Additionally, the presence of a large number of giant tech companies in the United States and Canada and their focus towards increasing production capacity further creates a high growth opportunity for the North-America nanophotonics market. However, a negative impact on the environment due to nanophotonic materials coupled with high cost of raw materials and difficulty in heat management are some factors estimated to hinder the global nanophotonics market growth in the near future. Some of the major players in the global nanophotonics market include LG Display, Carbon Solutions, Cambrios Technologies, QD Vision, Cnano Technology, TCL Display Technology, Blue Nano, Bucky USA, Nanoco Technologies, Philips LumiLEDs Lighting, Samsung SDI, Universal Display, IBM Corp, OSRAM Opto Semiconductors, and few others.